The American writer Ambrose Bierce once lampooned the corporation by defining it as "a device for obtaining individual profit without individual responsibility." That depends on who is minding the store. As is evident from the following profiles, Kellogg School graduates and friends demonstrate a keen interest in profits — creating value for their organizations and stakeholders — but doing so responsibly, with an appreciation for the world outside the executive suite and beyond the balance ledger. This perspective is one Kellogg shares, instilling these values into the school's team-based culture, ethical focus and community-oriented leadership training. Combined with guiding principles and techniques, such as intellectual rigor, action learning and continuous innovation, Kellogg produces graduates whose mindset is global even as their efforts — professionally and personally — aim to transform the lives of those around them. For instance, civic service is as likely as shareholder value to emerge in a discussion with Clare Muñana '89. "I believe one has an obligation not only to the bottom line of a business, but also a civic obligation to the community," she says. Sometimes values lead you home, as they did for David Kohler '92, executive vice president of his family's business, Kohler Co. When asked how working with family has shaped his views, he cites the importance of "a strong work ethic and not living a life of privilege." For other Kellogg graduates, including Target Corp. President Gregg Steinhafel '79, core values involve engaging others so that they can deliver their personal best, which ends up being the best for the organization too. In Target's cross-functional environment, he says, initiatives can move through the company quickly, but only because everyone is aligned with the view: "You put the company first, you put your team second, you put yourself last." With courses such as Values and Crisis Decision Making and Values-Based Leadership, Kellogg helps students understand that behind every value proposition are other, more disparate values to consider and manage effectively so that an enterprise can integrate the (sometimes competing) views of shareholders. In formal and informal ways, Kellogg students learn how to develop their individual abilities while never losing sight of the fact that true leaders care more for serving others than about indulging their own gratification. For many of our most accomplished alumni and friends, including those profiled here, professional success is only the first step along a journey to personal significance. As Dean Dipak Jain remarked during Convocation this year, the ultimate goal is using education and talent to create value, not just for personal gain, but for societal benefit. 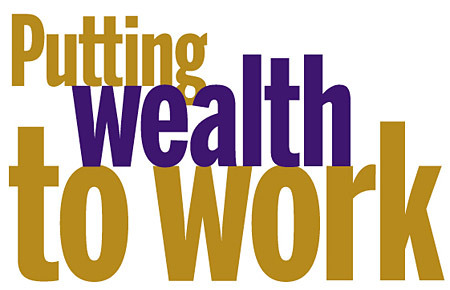 Here is how some of your peers are putting their wealth of talent to work.